This post has been written in collaboration with Planet Kambo who provide private and group healing Kambo ceremonies in London. I get really excited when I discover new natural medicines and treatments so when I recently discovered Kambo I couldn’t wait to learn all about it. Most people have never heard of Kambo or the Kambo cleanse, its benefits and how it works so I thought to explain everything in detail here. So if you are wondering what Kambo is and what it can do for you, continue reading to learn everything about this miracle natural medicine. Here you will also learn what to expect when you attend the Kambo ceremony and the effects of the Kambo treatment. 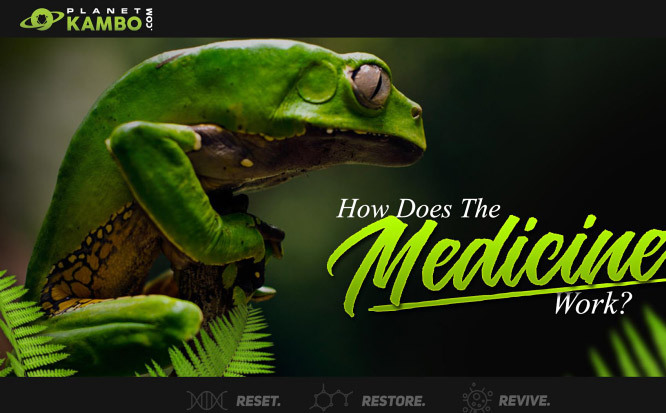 Kambo is basically a frog ‘medicine’ that comes from a bright green frog which lives in the Amazonian rainforest, called Phyllomedusa bicolor (Giant Monkey frog). Kambo is the poisonous, waxy secretion produced by the frog when it gets stressed. 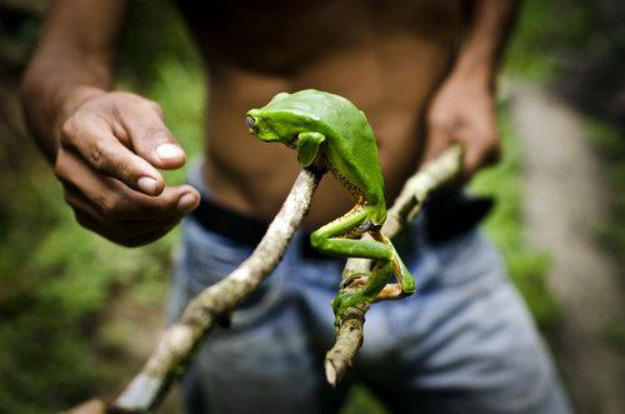 The indigenous tribesmen of the Amazon capture the frogs and then carefully extract the poison by scraping it from the frog’s’ skin before returning them safely back to the Jungle. The frogs are not harmed or damaged during this process. Once obtained, Kambo is then dried and stored for up to one year without losing its potency. When Kambo is ready to be used, it needs to be mixed with some water (or saliva) and then applied directly onto the skin which has been quickly burnt to expose the dermis underneath. Kambo is a traditional medicine among the Amazonian tribes and they’ve been using it for thousands of years for healing, to eliminate toxins, reduce pain, increase strength and stamina and to disperse negative energy (‘panema’). Kambo is also known as ‘sapo’, ‘campu’ and ‘vacino da floresta’. The Westerns first discovered Kambo in 1925 when the Kambo ceremony was observed by a French priest, Constantin Tastevin. But it wasn’t until the 1980s’ when Kambo gained more interest – this is when journalist Peter Gorman started to write about his experiences with Kambo and Kambo samples have been analysed by biochemists who discovered its medical potential. What makes Kambo a powerful ‘medicine’? So how does Kambo work? Why is it so beneficial? What is about it that makes it a ‘medicine’? There are different types of peptides and the ones found in Kambo include bioactive peptides, neuropeptides, heptapeptides and polypeptides. Peptides are essentially groups of amino acids that are put together in a chain (amino acids are the building blocks of protein). Different types of peptides have different effects in the human body. In the case of Kambo, the effect of its peptides vary, for example, some peptides in Kambo have powerful pain-relieving properties while others are capable of lowering blood pressure. Certain types of peptides found in Kambo have powerful antimicrobial properties and they will fight against drug-resistant strains of bacteria, yeast, parasites and viruses. What’s more, some Kambo peptides have been identified to even be able to kill certain types of cancer cells. And this is not an exhaustive list, it’s just to show how powerful Kambo can be and its medicinal potential. So we now know that Kambo has powerful medicinal properties due to its high concentration of certain peptides but what it can help with? What is it good for? Who would benefit from taking it? We know that traditionally, Kambo has been used for all kind of purposes: to treat a variety of health issues and illnesses, from fever and infections to snake bites and malaria. It’s also been used as a detoxing aid and to increase stamina and energy. Today, it’s still recommended to be used as a way of detoxing your body and releasing various toxins but it’s not all about your body, it’s also about your mind/spirit since Kambo can help with mental, emotional and spiritual issues too. Due to its neuropeptides, Kambo affects the brains too and it improves cognitive functioning so it will help you be more focused and think more clearly. On a spiritual level, Kambo helps to release emotional blockages and helps to clear the negative energy that surrounds you (‘panema’). This is something to explore if you are a spiritual person. Another reason why people may want to do the Kambo cleanse is to strengthen their immune system. So if you are often ill with various infections, colds and flus, this is something to try. Kambo has a profound effect on the immune system and people who use Kambo regularly rarely if ever get sick. Kambo also acts as powerful natural anti-inflammatory and anaesthetic so anybody with chronic pain could also benefit from it. So if you have a back pain, arthritis, IBS and even fibromyalgia, it’s worth considering going for a Kambo treatment. Kambo is also great for relieving menstrual cramps. Some of the benefits mentioned here have not been scientifically proven but early studies on animals show some promising results. The research on Kambo’s beneficial peptides is ongoing and the future studies are likely to reveal some exciting results, confirming what we already know about Kambo. But until then, you can do a search online to see how Kambo helped people heal and improved their health in various different ways. If you decide to attend a Kambo ceremony and receive a Kambo treatment, here is a little bit about what to expect. You shouldn’t drink any alcohol or use recreational drugs for at least 24-48 hours before taking Kambo. Kambo must be taken in a fasted state. No food for at least 8 hours prior to the treatment. Just before the ‘medicine’ is applied you will be asked by the practitioner to drink approximately 1 litre of water, this is so you have something in your stomach to allow the toxins to be purged. Kambo is applied topically to the skin. To apply Kambo, your skin needs to be quickly burned and the top layer removed to expose the dermis underneath. This is done by creating small holes on the skin using an incense stick. Don’t worry, you won’t bleed and it won’t be painful. The burns are very light and superficial. The good thing is that you decide where you want these burns to be created and it could be on your arm, leg or back. A small amount of the Kambo secretion is then applied onto each of these points and the ‘medicine’ will start to work very quickly (almost instantly) as it will travel in the body through your lymphatic system. Kambo needs to enter the body through the lymphatic system and going through the skin in this way is the only way it can do that. You will feel sick and you can experience various symptoms, such as sweating, shivers and dizziness. Some people also experience tingling or burning sensation, dry mouth, swollen lips and blurred vision. The initial cleansing effects of Kambo will feel unpleasant but they won’t last for long. Normally, the discomfort will be over in about 30 minutes or less and this is when the next phase begins. After all the purging, and once your heart rate returns to normal, you will feel tired and you may want to rest. For this reason, during the Kambo ceremony, blankets will be provided together with space where you can lie down, should you wish to do so. Due to the specific neuropeptides released into your brains, after the Kambo cleanse, you will experience a feeling of calm which can last for several hours. Any pain you may have had prior to the treatment will be relieved. There is also a 24-48 hour Kambo afterglow where you will experience clearer and faster thinking, improved mental focus and the ability to make quick decisions under stress. Anxiety will also be reduced. The improved cognitive function will result in greater productivity and you will be able to achieve more than ever before. Those that regularly attend the gym will feel stronger and will be able to lift more during their next session. Another positive effect of the Kambo cleanse is an increased libido which is due to a body detox and increased blood flow straight after the experience. As mentioned above, Kambo is an incredible immune system boost and those who take it regularly report rarely getting ill. Other long-term effects include increased energy, cancer prevention (in some cases) and an improvement in general health. Although technically Kambo is poisonous if it were to be ingested, when used topically on the skin so it can go through the lymphatic system, it actually does not work as a poison at all. 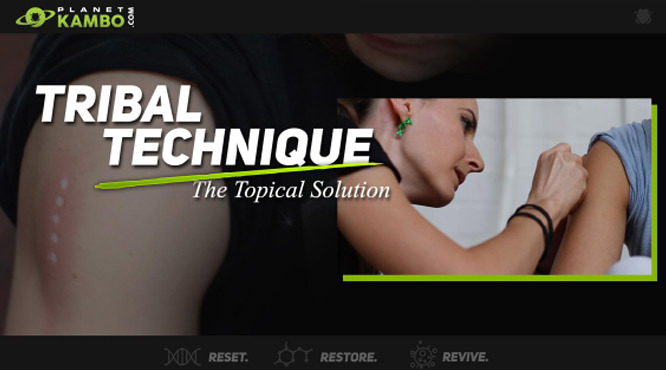 With this specific method of application, only the peptides actually enter the body and they travel through the lymphatic system and pass through the blood brain barrier to communicate directly with the brain. Even though it can appear as though one has been poisoned because of the powerful purgative effects it’s actually the brain itself that is creating this purging effect. Essentially, Kambo allows the body and brain to heal itself. As long as one is not contraindicated for Kambo it is perfectly safe when applied by a qualified practitioner. How often should I use Kambo? Once you experience Kambo for the first time you may be wondering how often you should use it. Should you have another treatment a week later or should you have it once a month? First of all, having a one-off Kambo treatment is better than having nothing at all but Jon from Planet Kambo recommends to take a course of treatments to get the most out of the medicine. Jon has been advised, during his advanced Kambo training in Mexico, to take Kambo 3 times in one week to reach the best possible level of detox. This is the optimal frequency that the top Kambo practitioners recommend but when you are just starting out with Kambo, have three sessions in a short space of time (1-2 weeks) and then follow up with another two after that. This is a recommendation from Jon who’s been taking Kambo for about 8 years. For this reason, Planet Kambo offer the option of purchasing a course of Kambo treatments rather than one as it will be more beneficial to you (and cost per treatment will also be reduced when you choose this option). After that, to maintain your health and wellbeing, you can choose to do the Kambo treatment once every few months or whenever you feel the calling. But it really depends on your personal circumstances. Are there any health conditions that Kambo is not recommended for? This is not an exhaustive list and if you have any concerns, speak to a qualified Kambo practitioner. If you want to have a Kambo treatment done, the best is to attend the Kambo ceremony and have the treatment done by an experienced practitioner. If you are based in London, check out www.planetkambo.com where you can participate in one of their weekly Kambo ceremonies. Jon, who runs these ceremonies has received his Kambo training in Mexico where he worked with Giovanni Lattanzi who is one of the foremost Kambo practitioners in the West (who pioneered the method of using Kambo on the acupuncture meridian points). Jon has been receiving Kambo for about 8 years while he’s been a practitioner for 2 years. 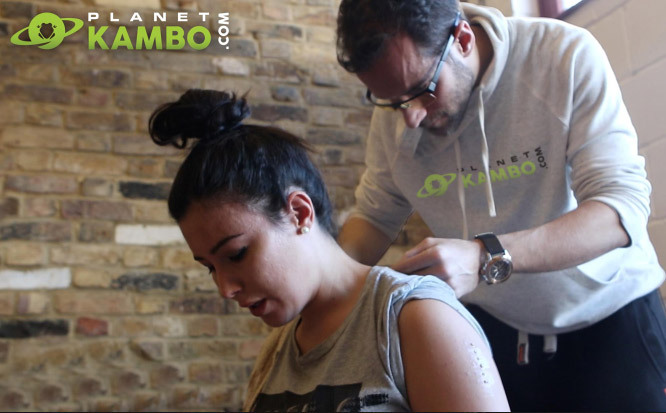 If you want to give kambo a try, I have partnered with Planet Kambo to give you £10 off your first treatment, just drop them an email at [email protected] saying you’d like to take part in this offer and quote the code BEHEALTHYNOW10.